Origin Native to North America. Sunflower seeds are the bonus of beautiful sunflower which is a plant with yellow petals rays that arise from bright yellow seed studded center. 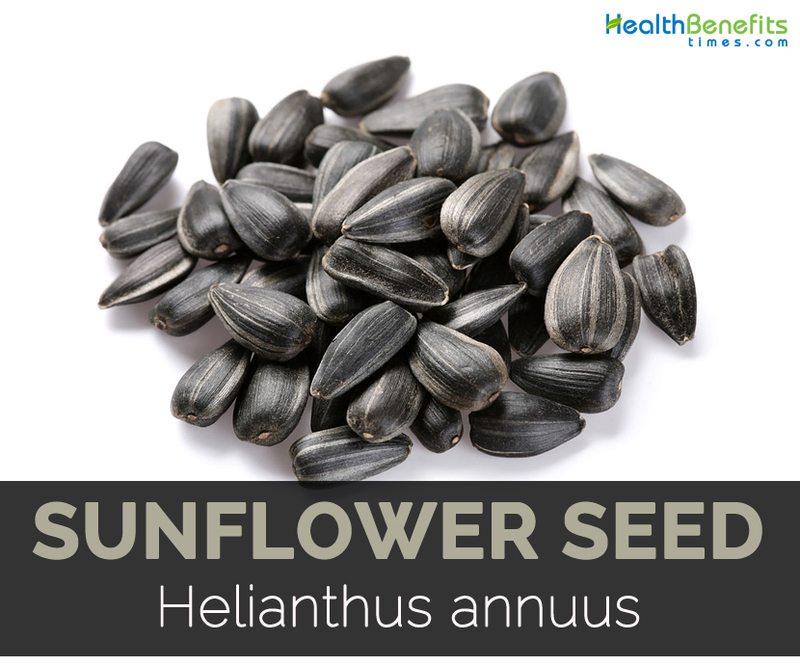 Helianthus annuus reflects the solar appearance. Helios is the Greek word for sun and anthos is the Greek word for flower. Sunflower produce grayish to green or black seeds which is encased in tear dropped shaped gray or black shells which features white and black stripes. These seeds are rich in oil and are the main sources of polyunsaturated oil. 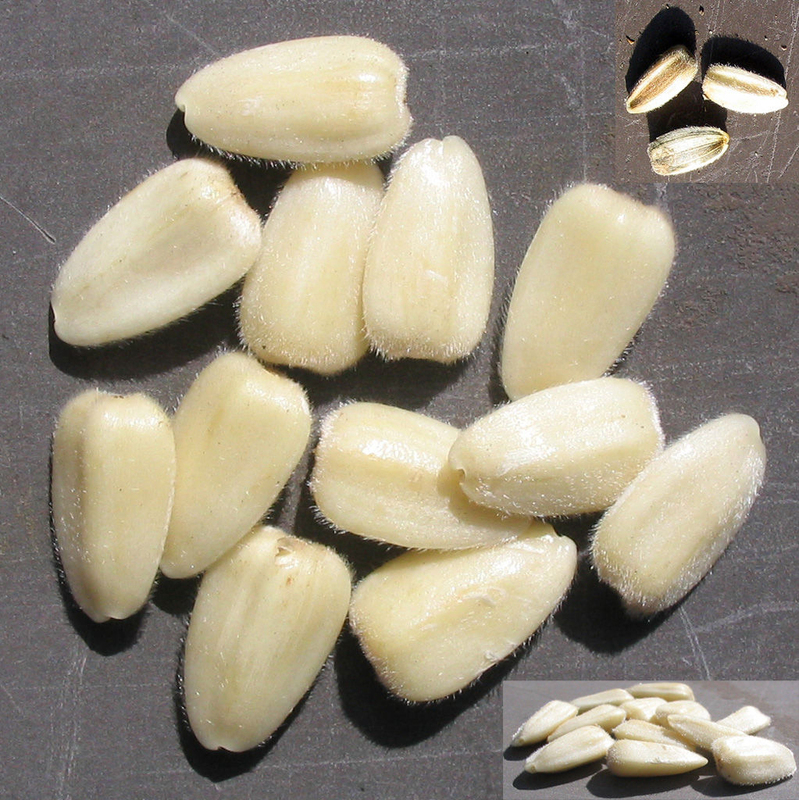 The shelled sunflower seeds possess mild nutty taste and firm texture. The annual species of Sunflower is cultivated as crop for its edible fruits also called sunflower seeds and edible oil. It is also used as livestock forage, bird food and used in industrial applications. Firstly this plant was domesticated in America. It is widely branched annual plant having many flower heads. Sunflower possesses large single inflorescence in an unbranched stem. 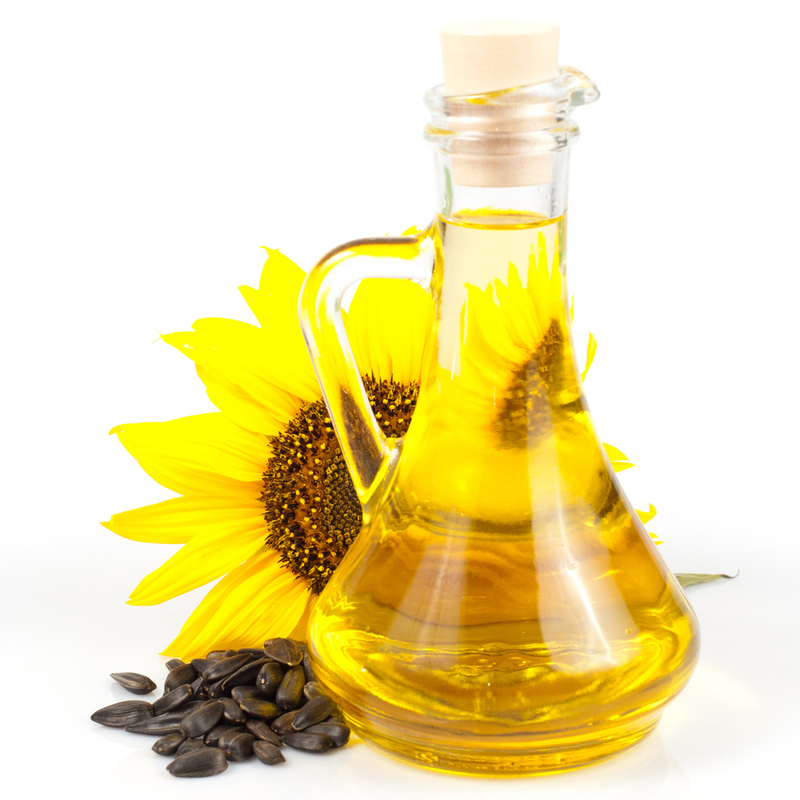 In 16th century, sunflower seeds were brought from Americas to Europe and then the sunflower oil was widely spread as cooking ingredient. This wildflower has large and stout central stem measuring 3 to 9 feet tall. There are few side stems towards the apex of the plant but is tall and columnar overall. Central stem is terete, light green to reddish green which is covered with stiff spreading hairs. Leaves are large, alternate measuring 8 inches long and 6 inches across. It is ovate-cordate, cordate, or ovate having fine dentate margins though some small upper leaves are lanceolate and has smooth margins. An upper surface of leaves is covered with short stiff hairs and is dull green. Petioles are light green-reddish green covering with short stiff hairs. Flower head resemble daisy which consists of various central disk florets each measuring 1/8 inches across which are yellow to brown. It is surrounded by 20 to 40 ray florets. The petals are yellow. 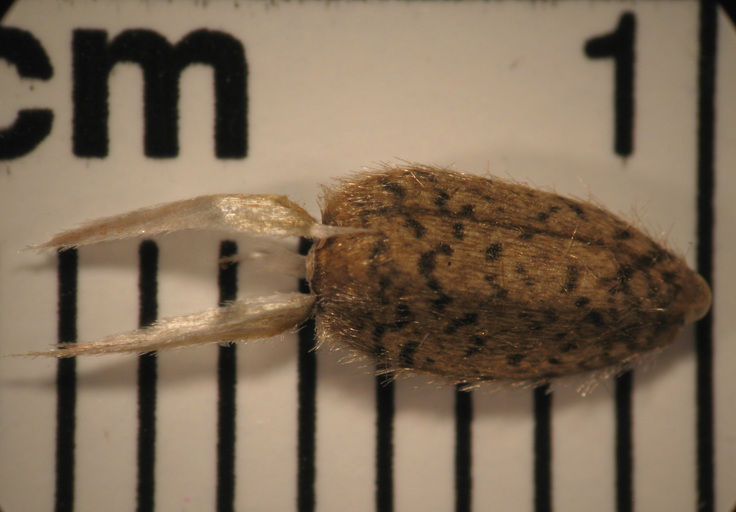 Each flowerhead measures 3 to 5 inches across. The average plant bears 1 to 12 of these flower heads and blooms from mid to late summer. The disk florets are followed by large seeds which are ovoid and somewhat flattened in shape. The seeds of sunflower are unique food which is rich in various essential nutrients such as copper, vitamin E, vitamin B like phosphorus, thiamine and selenium. Sunflower seeds are the healthy source of essential fatty acids such as linoleic acid and also provide amino acids, fiber and phytosterols. Sunflower seeds are healthy sources of fats which assist in building blocks for cell membranes, helps to slow absorption of food, allow body to balance membranes and acts as a carrier of vital fat soluble vitamin D, A, K and E.
Sunflower is native to North America. Evidence shows that sunflowers were cultivated as long as 3000 B.C. by Native Americans. Yet, it was discovered and taken to Europe and spread to Russia where it is commercialized as crop and have been harvested for oil. In late 1800’s, they were brought back to North America where they are widely known for seeds, oil and addition to the garden. Sunflower seeds are a great source of nutrients such as Vitamin E which is also called gamma tocopherol. Vitamin E is an antioxidant which is found in seeds and nuts which is found in Sunflower seeds that helps to counteract free radical damage. Sunflower seeds are highly associated with promoting cardiovascular health as it is able to lower bad cholesterol and prevents hypertension, prevent cancer, muscle cramps, headaches, healthy skin and improve detoxification. Sunflower seeds are considered to be healthier for heart as it contains rich amount of linoleic acid which is an essential fatty acid. Sunflower seeds are a great source of amino acids, dietary fiber, Vitamin B, Vitamin E and minerals such as copper, magnesium, iron, potassium, manganese, calcium, phosphorus, selenium and zinc. Sunflower seeds have healthy monounsaturated or polyunsaturated fat which reduce the chances of heart disease by lowering cholesterol levels in blood. Moreover, a quarter cup of sunflower seeds provides 20 mg of Vitamin E which is about 90% of the daily recommended intake. This vitamin prevents free radical damage and maintains health at cellular level and also reduces cholesterol. Sunflower seeds have high content of Vitamin E which fulfills 80% of daily requirements by ¼ cup of these seeds. When added to the diet, it offers antioxidant properties. Vitamin E acts as antioxidant for skin and rejuvenates skin by promoting blood circulation and lowers the appearance of wrinkles. Sunflower seeds have high content of calories and also a good amount of dietary fiber. It speeds the digestive process and reduces the level of cholesterol. Moreover, fiber makes the body feel full and prevents the occurrence of overeating. The regular consumption of Sunflower seeds provides great tone and texture. Vitamin E is great for skin health and hair health. Moreover to antioxidants and minerals, seeds contain iron which promotes circulation and promotes blood flow to scalp by stimulating hair growth. Sunflower seeds have phytosterols which have been proved to be cholesterol controlling compound. Seeds help to protect heart health by reducing cholesterol and deposition of plaque in arteries and blood vessels. Research has shown that Sunflower seeds assist in functions of thyroid gland which is responsible for controlling various hormonal activities in the body. Dietary fiber helps to optimize digestion by adding bulk to the stool and enhance peristaltic motion. It also promotes bacterial balance in gut and makes efficient uptake of nutrients. Studies have shown that selenium helps to prevent occurrence of cancer. It slows down the oxidative stress and neutralizes free radicals before it provides too much damage. Studies have shown that sunflower seeds help to prevent cancer by consuming high nutrient diet. Sunflower seeds have antioxidants, vitamins and trace minerals which help to lower oxidative stress from occurring. The study shows that nutrient found in sunflower seeds possess chemo-preventive compounds that is helpful to cure early phases of cancer development and prevent growth of tumor. The study also demonstrates that Vitamin E protects men from prostate cancer. The new study conducted shows that it lowers the chances of lung cancer. It contains selenium which is essential for prevention of breast cancer. It has been shown that selenium helps to assist repair of DNA and detoxify the body from harmful damaged cells. Selenium assists body to prevent proliferation of cancer cells and delay tumor growth. Magnesium is associated with improvement in mood and temperament. Sunflower seeds contains moderate amount of minerals. 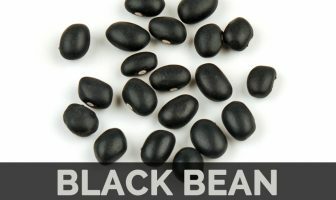 It is a great snack which is helpful for those suffering from depression or anxiety. Magnesium helps to improve sleep as it converts tryptophan into serotonin. It is a food hormone which relaxes the body and prepare for sleep. Magnesium plays a vital role in calcium channels of the body that have major impact on electrolyte balance as well as blood pressure. 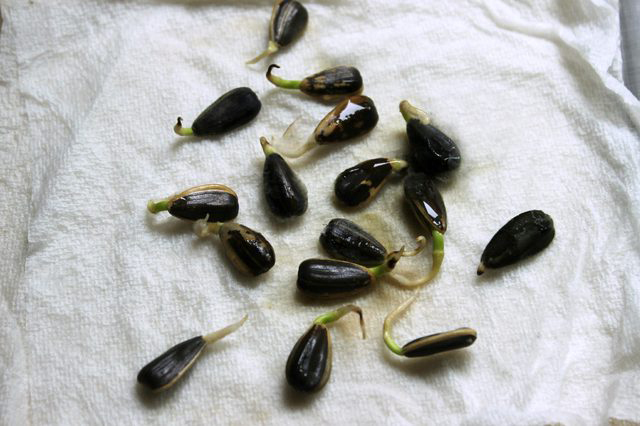 About 1/4th cup of these seeds fulfill 30% of daily requirement of magnesium. It is a fine remedy for treating symptoms such as hypertension. Vitamin E is an antioxidant which helps to lower body wide harmful inflammation from leading it to various diseases. It is also called gamma tocopherol which is a powerful antioxidant that is available in seeds and nuts including sunflower seeds. Research shows that high level of inflammation is correlated with increasing chances of heart disease, cancer, stroke, diabetes and neurodegenerative diseases such as Parkinson’s disease and Alzheimer’s disease. The frequent consumption of Sunflower seeds helps to balance the level of cholesterol level, lower high blood pressure, hypertension and also protects heart disease. Sunflower seeds contains high amount of essential mineral magnesium. Magnesium has various roles in the body: it balances calcium within cells and is crucial for overall cardiovascular health and assist healthy blood pressure. It is also responsible to keep the skeletal structure healthy and prevent conditions associated to loss in bone mineral density such as osteoporosis. Magnesium helps to lower chronic migraine headaches, chronic fatigue, constipation and symptoms associated with mood disorders such as anxiety and depression. Sunflower seeds are great source of vitamin B such as Vitamin B5 also called pantothenic acid. Vitamin B5 has vital role in metabolism of energy as it acts as coenzyme which is involved in energy producing chemical reactions in the body. Pantothenic acid has essential part in regulating hormones, synthesizing fat and maintains healthy brain function. The deficiency of Vitamin B5 is associated with symptoms such as muscle cramps, fatigue and plantar fasciitis which is a painful injury in shin and feet and is commonly found in athletes. The diet rich in seeds and nuts helps to lower hyperglycemia and also balance blood sugar levels. It also lowers the chances of metabolic syndrome development such as insulin resistance or diabetes. The unbalanced level of blood sugar and insulin resistance results in weight gain, inflammation and autoimmune responses. The nutrients found in sunflower seeds helps to prevent dips and spikes of blood sugar that is experienced by most of the people due to diets rich in refined grains, sugar, processed foods and sweetened beverages. Mandan, Hidatsa, Rees and Gros Ventres use sunflower seeds to alleviate fatigue. Too much consumption of sunflower seeds causes unwanted weight gain. It might cause reactions such as sneezing, itchiness of skin, gastritis, itchiness in eyes and vomiting in susceptible individuals. Allergic persons should avoid this seeds. It contains small amount of purines or oxalates. So the people with kidney problems should avoid the consumption of sunflower seeds. The consumption of sunflower seeds shell could puncture digestive tract and leads to stomach disorders. As it is rich in selenium, its excessive consumption causes inflammation of skin, suffer from mood swings and chronic fatigue. Its excessive intake could be harmful for the blood pressure and overall heart health. 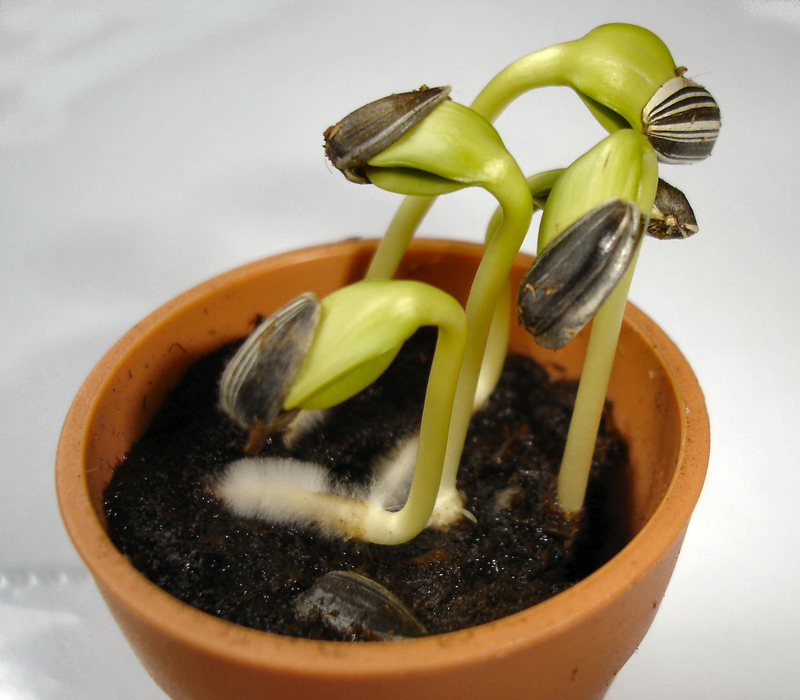 Seeds are consumed raw or cooked. It is consumed as snack food after roasting in ovens. It could also be processed into sunflower butter. Sunflower seeds could be added to chicken, tuna or turkey salad recipe. The mixed green salads could be garnished with sunflower seeds. Add sunflower seeds to scrambled eggs for enhancing taste as well as texture. Fine ground sunflower seeds could be used to dust meats. Sunflower seeds could be sprinkled onto cold and hot cereals. Sunflower seeds are added to meatballs and homemade veggie burgers. Add it to salmon or tuna salad. Spread sunflower seed butter to sprouted grain toast. 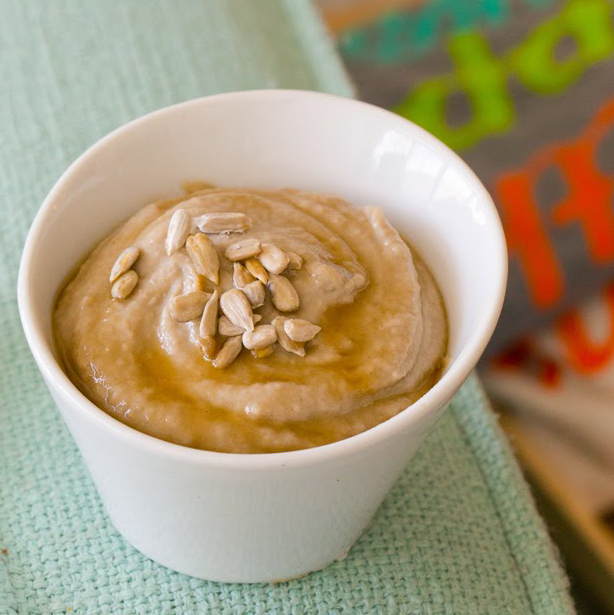 This seed could be added to any baked goods including grain free muffins, scones and breads. Sprinkle kernels overs sautéed vegetables or fried rice dishes. Coat the seeds with chocolate, candied and added in muffins and cakes. Add the seeds to baked goods, casseroles and salad dressings. Seeds are roasted and salted which is consumed as healthy snack. Garnish pasta and salads with Sunflower seeds. In Germany, flour made from seeds is used to make dark bread. Native Native to North America. Calories in 1 cup (140 g) 818 Kcal.